Former employees of Santago Uribe, the brother of former President Alvaro Uribe, have confirmed alleged ties between the rancher and a death squad accused of more than 500 homicides. Spanish newspaper El Pais received testimonies of multiple former employees of La Carolina, an estate that was owned by the Uribe family in the 1990s. According to the former employees and other witnesses, the rancher formed and led the 12 Apostles paramilitary group from there. The testimonies were given before a Colombian court on May 31, further complicating the legal situation of the Uribe brothers, who are both accused of having led some of Colombia’s most violent death squads. The testimonies are a major setback for the Uribe family, who had asked the former employees to testify in their defense, but the opposite happened. Other members of the group were identified as “Carlos,” “El Paisa,” “Sabino,” and “Pelusa,” who has been accused by the police of having run a cocaine processing laboratory. Prosecutors are investigating whether these alleged prisoners were later murdered as part of the “social cleansing” activities of the 12 Apostles. 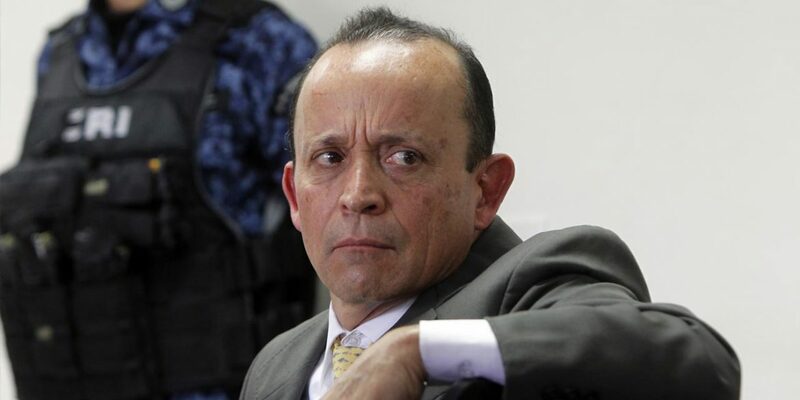 “It is certain and a proven fact that Mr. Santiago Uribe Velez was the leader and coordinator of the 12 Apostles group,” Deputy Prosecutor General Maria Paulina Riveros said in October last year. The investigation against the Uribe family has been going on since the 1990s, but has been complicated by assassinations of key witnesses against the family of the former president and admitted former associate of the Medellin Cartel.